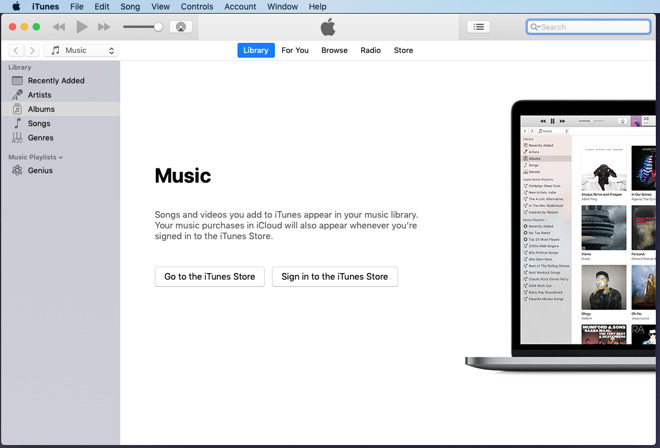 The typical and maybe general consensus today is that Apple's iTunes app for Macs is too complicated. That would be because it really, really is —but it got that way through accretion. The original MP3 music player has steadily become where Apple expects you to manage your iOS backups, buy TV and movies, stream Apple Music and more. Only, if you came in late, or if you're new to Macs as a result of an iPhone halo effect, you're faced with everything at once and it's a wall of options and features. If you're a long-time AppleInsider reader, you're probably an old hand at all this —but you probably know somebody who isn't. Regardless, if you started with iTunes back when it first launched in 2001 and you've stayed with it, you've seen these new features being added. 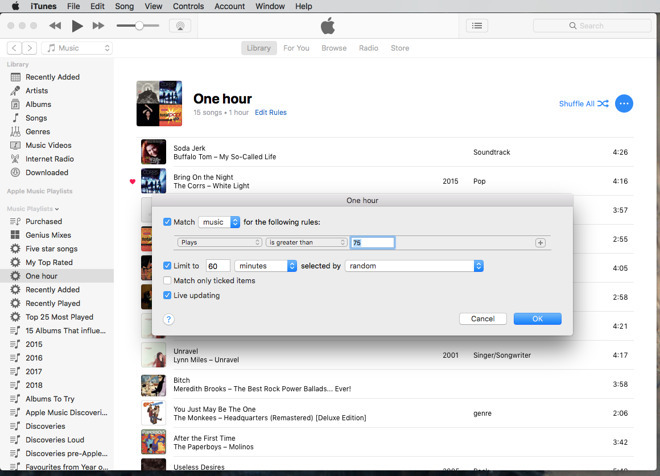 You've had time to understand how iTunes works and then to absorb each additional feature. We wouldn't be shocked if Apple eventually breaks up iTunes into separate apps. Frankly we'd prefer it at this point. But, the company could've done that at any point and so you'd assume Apple prefers centering everything on iTunes. However, Apple is soon to launch a video streaming service and has already demonstrated moving iOS apps to the desktop in macOS Mojave. So you can imagine a time in the near future when the TV app from iOS comes over to the Mac. If it does, that would presumably mean television and film leave iTunes. In the meantime, though, if Apple isn't going to break up iTunes, at least we can break it down. Imagine, if you will, that iTunes is solely for your music or solely for backing up iPhones, and so on. Find out how each element of iTunes is actually a hugely powerful and adaptable tool that makes sense. First up, music. 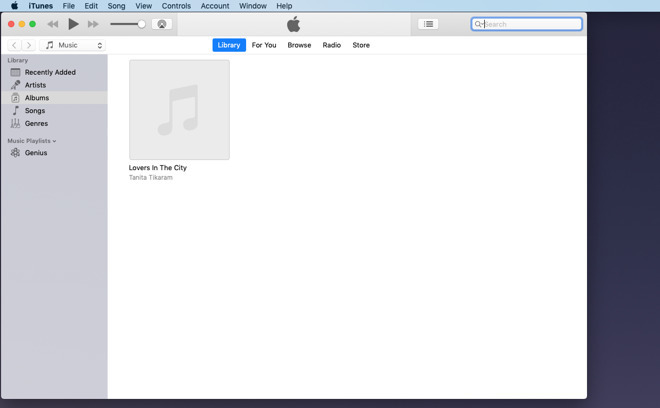 Using iTunes purely as player for your music —not even including online purchases from the iTunes Store. We're going back to how iTunes originally was, just with all the relevant features of today's iTunes version 12.8. 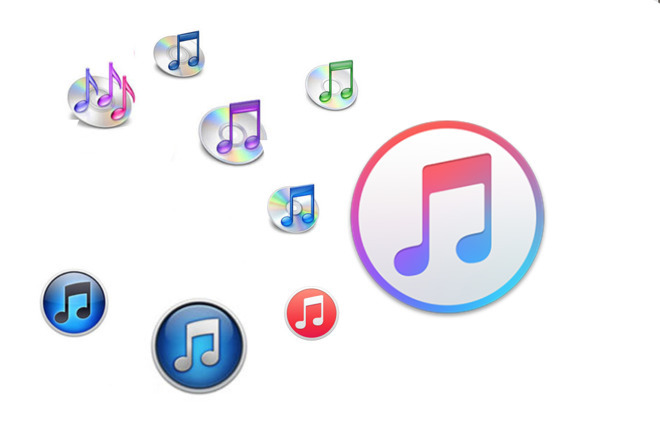 Today iTunes is as much a retail store as it is something that stores your music. Originally, though, there wasn't a lot you could do without adding some songs and you did it through ripping CDs. The only surprise is that you still can. If you've still got some shiny discs around the house, get them into iTunes. Or if you ripped them all many years ago but haven't thrown any away, rip them again. Macs are faster, storage space is cheaper and iTunes rips at a higher bitrate than before. These all combine to let you grab music off your CD and have it in excellent quality. These days your CD drive may be as hard to find as your discs but if you have one connected to your Mac and pop a shiny disc into it, this is what you get. Depending on the speed of your drive and how surprised your Mac is to see a disc in there, it could take a few seconds for iTunes to prompt you with this. When it does, though, just say yes. Notice, though, that the prompt is specific: it's asking if you want to import this particular CD. Not just whatever CD is in the drive but specifically this one by title. Then notice behind the prompt: it's already got the title of every track on the CD. This will seem as nothing to you if you've only ever used Apple Music but when CD ripping was the only thing you could do, it was a revelation. Rather than importing an album and then having to figure out which Untitled Track was "Blinded by the Light," iTunes could then and still does now get all of that information for you. However, don't trust it. The information comes from a database called Gracenote which is filled with details typed in by listeners. So maybe you don't have to type the track names in for this album but someone has. Hats off to them for taking the time. We just wish they'd taken an inch more care, though. It is common to find typing mistakes and other errors. If you spot one or if the album you're importing doesn't have any track details yet, you can type them in yourself. Then click on the cog wheel icon and choose Submit CD Track Names. You're giving back to the internet and you're doing it better than they did. Importing a CD isn't lightning fast but it's not bad. Still, you do have long enough to wait that you start remembering it's possible to have songs at different bitrates or even formats. You have long enough to wonder whether you should've set it up to import as MP3 or whatever. 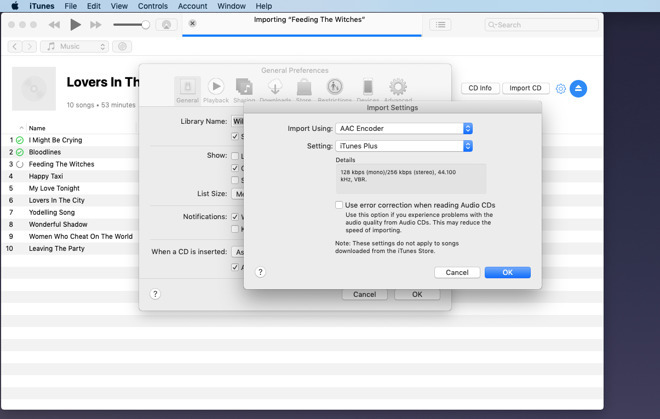 By default, iTunes will be importing that CD in Apple's AAC format and at 256kbps. Unless you really know what you're doing with audio, leave it as that. And go look for some album artwork. Naturally, you're going to take the cover out of the CD jewel case and then scan it in. You're not going to just do a Google search and hope the images are free of copyright. Whatever way you want to get the album artwork, get the album artwork. 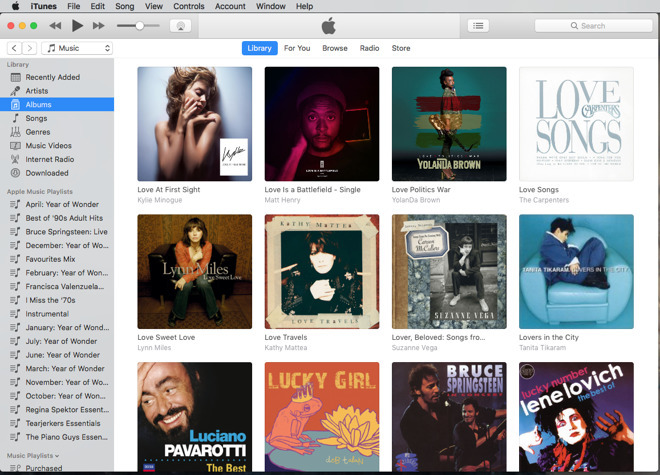 It turns iTunes from a dull list into feeling like a true collection. Click on the album —not the individual tracks, specifically the album —and choose the Edit menu, then Get Info. You're editing one solitary album but it contains many tracks so iTunes will check you want to "edit information for multiple items." You do. You first see a Details tab with track name, artist and so on. You can add or amend these but for now click on Artwork. 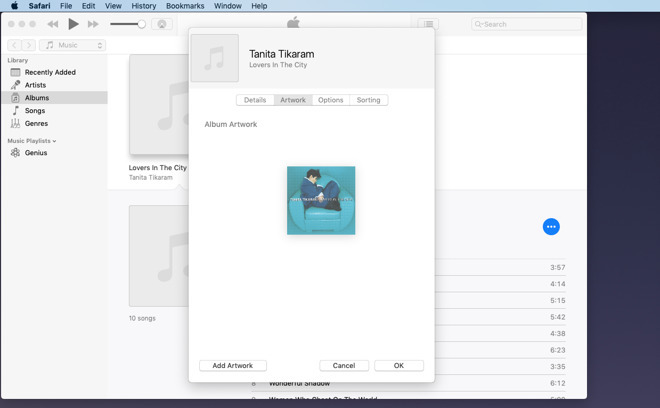 Drag your artwork into this panel and then wait a few moments while iTunes applies that image to the album and each track on it. Honestly, going back through doing this felt like a history documentary. Except as we struggled to remember what it was like ripping hundreds of CDs, we did find some in our collection that we hadn't done. Most were non-commercial releases and many weren't even music. We have 40 or more CDs of BBC Radio dramas that we recorded off air and now popped into iTunes. The process was the same, the sole difference is that nobody's ever entered these track details into any database. So we had to do a lot more typing but the result was a hundred hours or more of drama to listen to. It might, however, be a bit jarring to be listening to Bruce Springsteen one moment and then because we're on shuffle find ourselves deep in Act III, Scene II of "King Lear". One thing about shuffle. 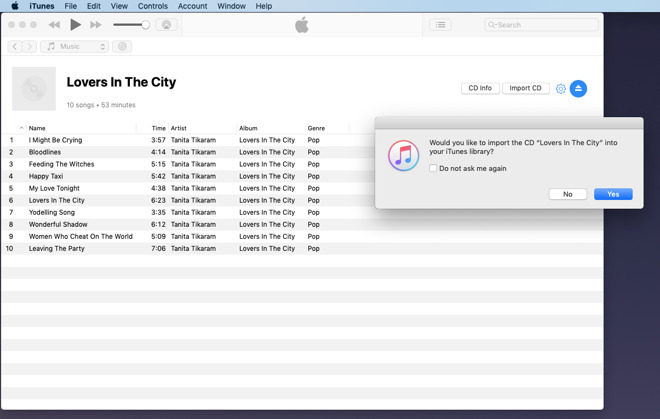 The iTunes app can play all of your music in a completely random order —except it won't. No randomizer is really entirely random. It works by a sequence of math that ultimately will repeat itself, will be the same as the start. However, that mathematical and computing necessity has been added to. Reportedly, Apple got so many complaints about iTunes on iPods not being random that it changed the system. It wasn't to make it more random, it was to make it less. People apparently complained that if you got two songs by the same artist one after another then it couldn't be random. Of course it could. And in a truly random system then at some point you would get the same song by the same artist twice in succession. There's no telling some people, though, so now iTunes has a random shuffle that won't play you a song entirely randomly. This jump from drama to disco, from comedy to country, has happened to us. Sometimes it's been remarkably appropriate as we skip from "Atlantic City" into the demise of Lear. However, we can avoid this by choosing the album we want to play. We can choose the artist and listen to just their work. Or we can create playlists. There's not a lot of mystery to a regular playlist. Just choose File, New, Playlist, give it a name and start dragging songs into it. Or you could select some songs first and then choose File, New, Playlist from Selection. Or create a smart playlist. This is a simple list of songs or tracks but which you didn't pick. Instead, you told iTunes what sort of thing you want and it has found songs for you. In this example, we've said we want an hour of music, please, made up of songs that we've played more than 75 times. The play count on iTunes isn't accurate; depending on whether you listen to silence at the end of some tracks may make a difference, for instance. Yet a higher number suggests music we like so that's what we asked for here. You could go into gigantically greater detail. Or even impossibly greater detail. You can ask for a playlist made up of all the jazz music you own played either by Monk or Beiderbecke, which you haven't played since that hot night last 4th of July, and which is between 11 and 13 minutes long. You could throw in that the tracks must be ones you've rated as five stars. We have never though it sane to go through every track giving it a star rating but then we've gone through every album adding artwork. What do we know? Well, we know that Apple has rather hidden away the star ratings since the move to Apple Music. It's not likely they'll vanish completely but still, we wouldn't embark on a fifteen-thousand track star-rating expedition. That's a case where iTunes has been changed by the addition of something else. Throughout the app, you'll find places where you get choices to move on from your own CD collection to, say, Apple Music. For now, though, with a single Mac iTunes installation, don't do it. We'll talk more about this later, including when it's probably safe to do so, and some cases where it isn't. You'll also find that you can plug in your iPhone and back it up while perhaps copying some music over to it. How you handle plugging an iOS device into your Mac's iTunes and how you buy or stream music are topics for another day, though. Sorry to dangle both of those in front of you and leave you hanging, but consider this. You've just seen how to get CDs into iTunes and listen to your music —and it seemed easy to you, didn't it? That's the thing with iTunes and that's why we're doing this series. In nearly every case, every single part of iTunes is actually fine. It's only the sheer weight of options that makes this a bloated, complex app.